I got an email early this morning from Bala Kamallakharan pointing me at a blog post he wrote titled Startup Communities – My open letter to Brad Feld. In it he discusses some of the things he’s working on in Iceland post financial crisis, including launching Startup Iceland. I encourage you to go read the letter – it’s inspiring, especially against the backdrop of Iceland’s dramatic rise and fall through the world financial crisis which I recently read more about in Michael Lewis’s great book Boomerang: Travels In The New Third World. What Bala is doing is a powerful example of “entrepreneurs leading their startup communities.” Don’t wait for government, or other “feeders” (which I’ll describe in other posts) to take the lead. Entrepreneurs must lead. Bala – thanks for setting an example. I look forward to seeing where you take this. Nothing more was needed for me to get motivated to do what I do everyday. Just like every other startup founder that I meet, I go through the struggle but having a mentor who can push you to do great things is a huge boost and I am everyday inspired and thankful for having a Friend and Mentor in Brad Feld. I was so delighted that he has agreed to come back to Startup Iceland 2015. He is Yoda of the Startups. Don’t believe me? 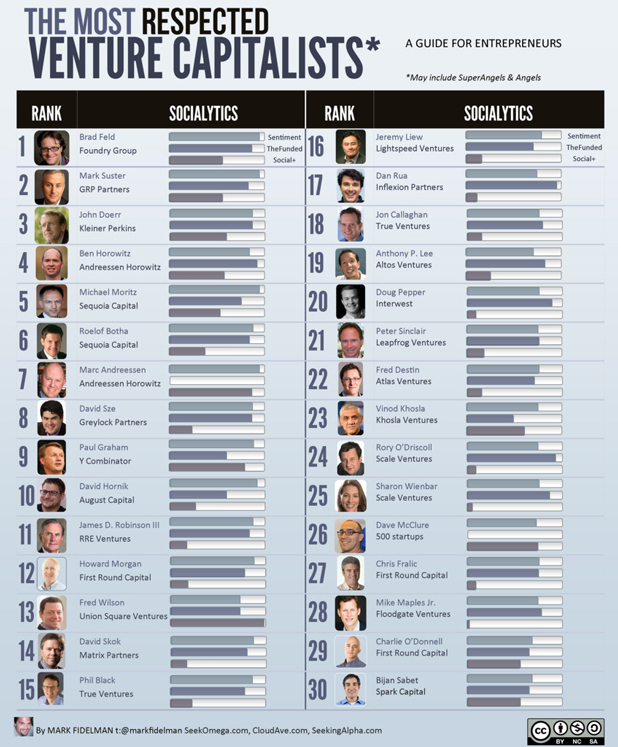 well Business Insider did the research and made the following infographic about Top 30 Most Respected VCs and Brad was #1. 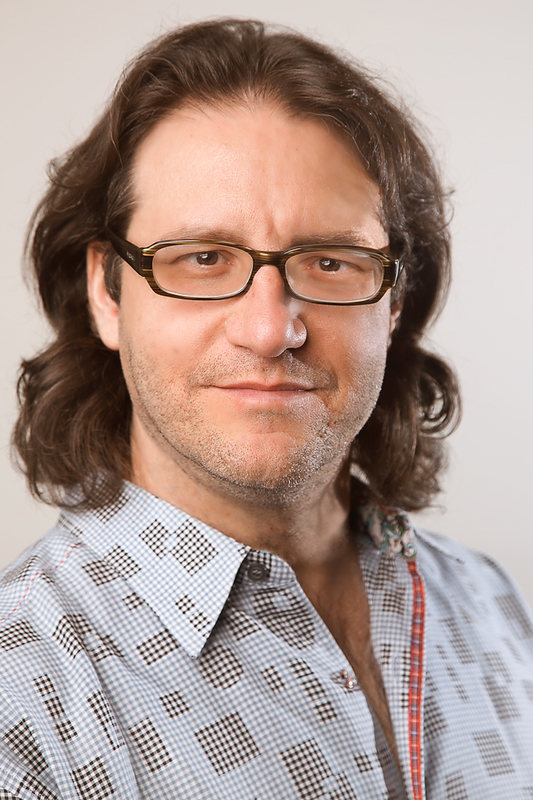 Like all speakers in Startup Iceland 2015, Brad Feld has agreed to be a mentor on the 28th. You need to buy your ticket to get time with Brad. So, don’t miss out on this opportunity to meet someone who has more or less done it all as it relates to Startups, Venture Investing, taking companies public from the start or just being a great mentor. Oh, did I mention that Brad is the author of 10 books and he is currently just finished the Book “Startup Opportunities“, you can pre-order them in Amazon.